This research overviews the developments and applications of the two approaches worldwide with a special emphasis on the Dutch school. The Dutch morphological reduction technique and the Dutch interpretation of a pattern language are used in the case study—Wuhan, a Chinese city—to study the transformation of urban form and lifestyle. 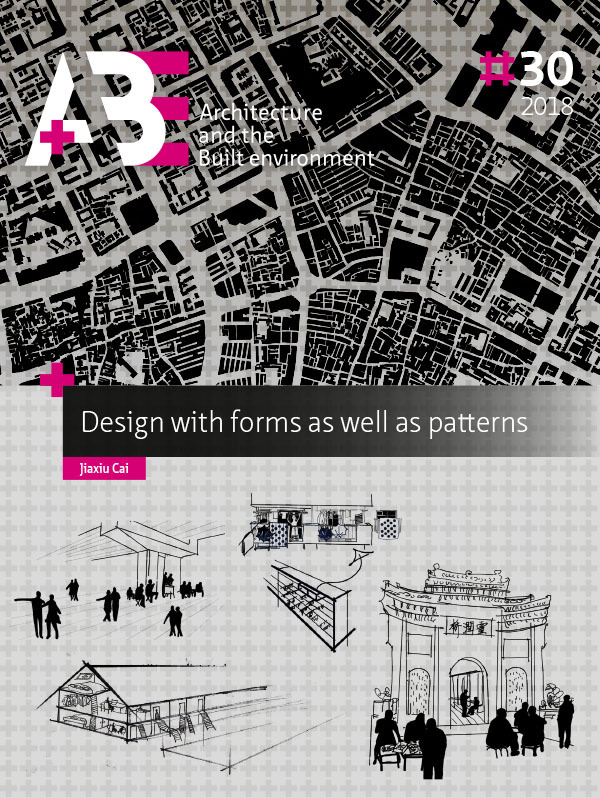 The multi-scalar historical morphological analysis results in an atlas that consists of four series of analytical maps on three levels of scale as well as 13 spatial structuring elements of the city; whereas the public life study results in a pattern book consisting of 20 individual patterns and three pattern languages. The practical implications and relevance for -- the design of -- the future of the city are discussed. The morphological approach can be used to interpret first space (perceived space) and convey its information into second space (conceived space), whereas the pattern language approach can be used to interpret third space (lived space) and convey its information into second space (conceived space). The morphological approach has a tendency to work from large scale to small scale and the pattern language approach tends to be built up from small scale to large scale, whereas urban design works with multiple scales at the same time. The morphological approach and the pattern language approach provide means for urban designers to systematically recognize historical layers so as to distil the meaning in the physical and non-physical contexts respectively. Consirately adding another layer that contains the contemporary meaning (design intervention) to these recognized layers is the way to pass down and simultaneously generate incremental change in the tradition of the context. This results in historical continuity and thus in permanence in urban design. The morphological approach, the pattern language approach, and urban design are processes in themselves and can be combined into one integrated process. The morphological approach, the pattern language approach and urban design are characterized by reduction, abstraction, interpretation, and communication.
? / Typology of homogeneous areas vs Clusters of patterns.